Homeschooling is a natural way to develop and encourage teen entrepreneurs (and Mom/Mum Entrepreneurs too!) , find business opportunities and learn to develop business skills. I mean, how many of our homeschool children have asked, " How can I earn a bit more pocket money?" All children like to make a contribution to their family whether it is in a large or small way. Don't they love the right of responsibility over one area in the home - whether it is collecting the mail or writing a shopping list and deciding on the week's menus? As they do so, they take control and know that their task is worthwhile. I think there is a natural progression from making a difference in small ways to being a child who thinks of a contribution they can make to the society or world around them. We can all think of amazing teen entrepreneurs who thought of an idea and then put it into action. Home schooling gives our children more flexibility to explore these real life opportunities. It also allows them to develop the business management skills they need. All of this can be done in the context of real life and meaningful opportunities. Homeschooled children often go on to develop their own businesses. Why? Because many (and this is a goal of most homeschooling families) have learned to be independent thinkers and learners. If they have an idea, they have time and the abilitiy to find the resources they need to answer the questions and pursue their goal. This is also one of the goals of the Thomas Jefferson Education. And so teen entrepreneurs become real business owners. So, the question we endeavour to answer on this page is, "How can we assist our teen entrepreneurs or ourselves in this process?" I have written a number of pages from my own personal experience in developing a business and seeing my children develop and fine-tune their business skills - as they grow. The Homeschool Entrepreneur is a site with ideas on how to build online businesses and develop entrepreneurial ideas in young homeschool teens. During the home school high school years, I have looked for entrepreneur courses, books and resources which encourage real life learning and help our children to develop their own interests and pursue their goals and build the skills they need. This page contains information on Entrepreneurial books, Entrepreneurial Courses we are using, Economics Books and Courses and Free Internet Marketing Ebooks. 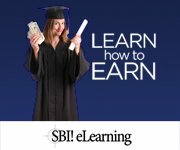 Read more about entrepreneur courses here. Have you ever thought of a part-time job for your children and your teen entrepreneurs? In the process ... you'll be surprised at the business management skills they are putting into practice. For some high school home schooling students, a Major Work or Culmination Project can in the form of a book; a business; an art work; a musical work - recorded music on CD; Video presentation; Textile work: quilt, design outfit; Invention; Written Thesis; or even a Web Site! It can either be a hobby - learning the skills of writing, uploading images, some html, and seeing the site in the world wide web. Giving time to write about their interest and tell others, just for the fun of it - and to inform others! 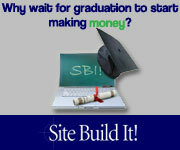 It can be a web business! 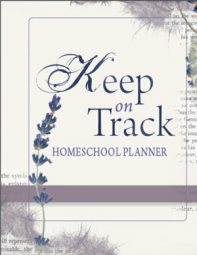 Read more about keeping learning real for highschool homeschoolers. 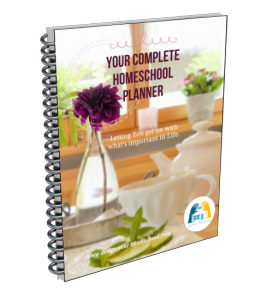 This page deals with homeschooling in the high school years and especially how high school homeschoolers can create a profitable web business. 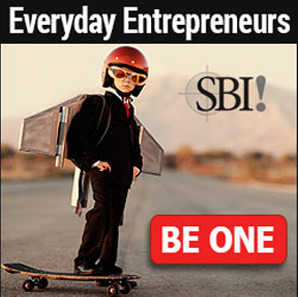 This is only one way your homeschool teen can become an entrepreneur. When I first wanted to build a web site and started researching for answers on the web, I soon felt overwhelmed with everything I didn't know and not knowing how or where to begin. I couldn't create a plan of what to do next, because this was all totally foreign to me! Through the course of my research, I found the solution which took me from Brainstorming to Writing a Business plan to really make it happen. A Guide - Action Guide of Solo Build It! This same course is now offered in Universities all over the world. And the great thing... it is doable for any motivated teen entrepreneur! Do you have an independent learner? Perfect!